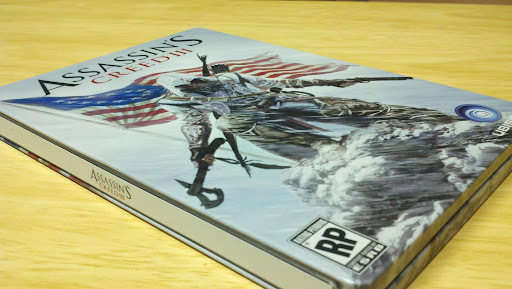 As I was picking up my pre-order for Mass Effect 3, I saw that GameStop was giving away AC3 metal cases to the first 60 or so pre-orders for AC3. The case is literally just a promotional item that you'll put the game into once it comes out later this year. Luckily, I waited until yesterday to pre-order. Stay tuned for some ME3 stuff, and be sure to come back for more info on Assassin's Creed III.